For sale from a passionate collector who, as a hobby, restores antique cars to bring them back to its original splendor, the Fiat 500 is a car that entered in the memory of Italians as a suvenir of a happy moment in the last century rich with optimism: a symbol of positivity in a time impregnated with difficulties, but also with a sense of growth and progress. The model L, born in 1968, represents the most prestigious moment in the history of this automobile. 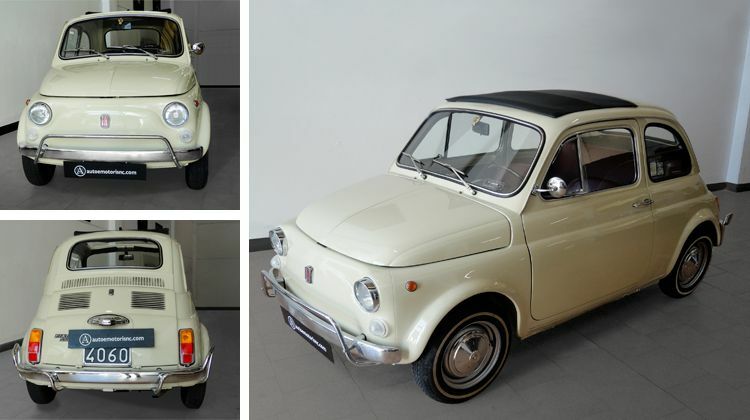 Initially created to be spartan and cheap, the 500 grew in style and detail up to the production of this model, which was the first to include details inspired by classy and luxury vehicles in what began as a small utility car, but it was with time transformed into a real jewel of four wheels. 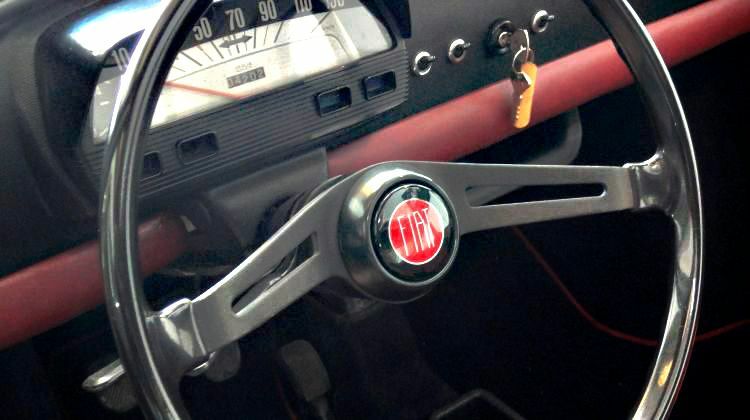 The Fiat 500 L was produced until 1972, when Fiat, with the model 500 R, decided to turn it back to the previous Spartan models. 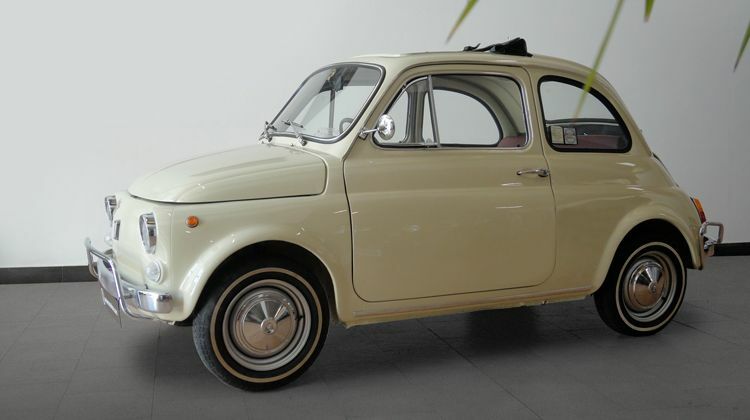 What is proposed here is a vintage car, Fiat 500 L of 1970, restored to its original splendor through a time consuming,patient and careful restoration work. The car has been completely taken to pieces and every part was sand blasted to remove all traces of rust. The pieces that were too damaged, have been replaced with original spare parts. 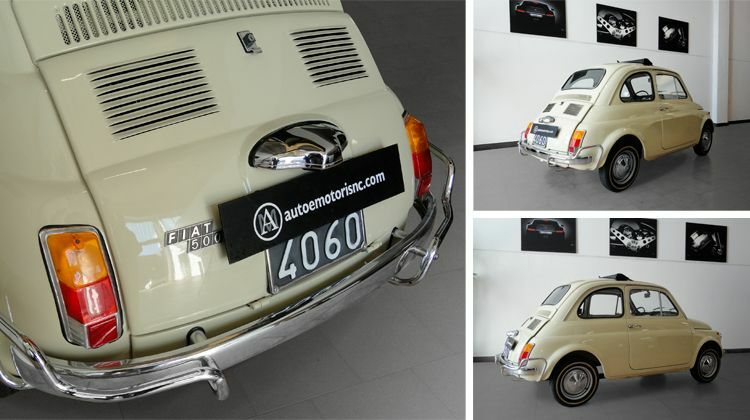 The repainting was carried out with original paint of the model (ivory antique color, the “Fiat 234” code). As for the interiors, the work was carried out by an upholsterer who respected the technical details, using only original materials and working by hand. The mechanics has been completely restored, and of all parts subject to wear such as moving parts and bearings have been replaced. The wheels, drums and brakes, lights, hood, front and side windows are completely new. Forty-six years, but practically new. 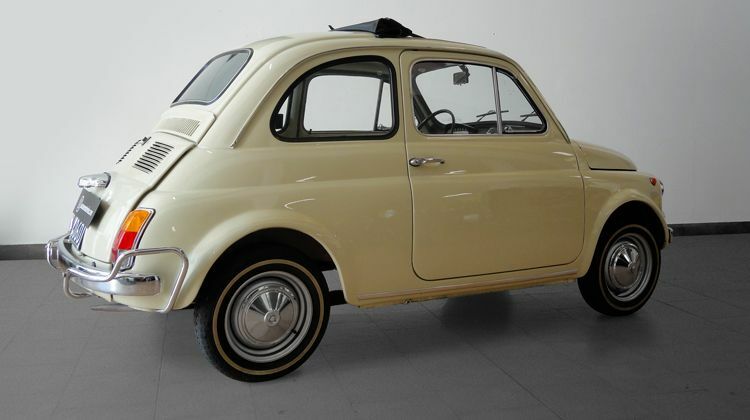 This classical car is a real blast from the past, a perfect historical example of the original Fiat 500, great success of Made in Italy of the ’60s, now back into fashion thanks to the global success of the new model, which follows the original style: its magic is all present in this lovely restored jewel. The restoration alone costed € 12,300, but the car is sold at the exceptional price of €12,000. The proceeds will be used by the passionate collector for new restoration work!